What day are we today? OH Yeah that’s right! In France it’s the national crepe day! So it’s perfect for me to share with you two little recipes! A simple and delicious Crepe with lemon,butter and sugar AND a delicious pancake with chocolate and raspberry! One is lower in calories and the other one is pretty intense 😉 so make sure to choose the one that isn’t going to kill your diet in one go! That day is called “Chandeleur” in France and it is actually a religious day, however I’m not going to explain all those details right now 😉 LET’S JUST GET TO IT! Add the milk, not all at once, just do it slowly and keep mixing while adding it. When you are ready to eat. Warm a pan with oil in it and then poor a bit a the mixture. Let it golden then flip it in the air ( like a real french person ;), cook it a little ore on the other side. 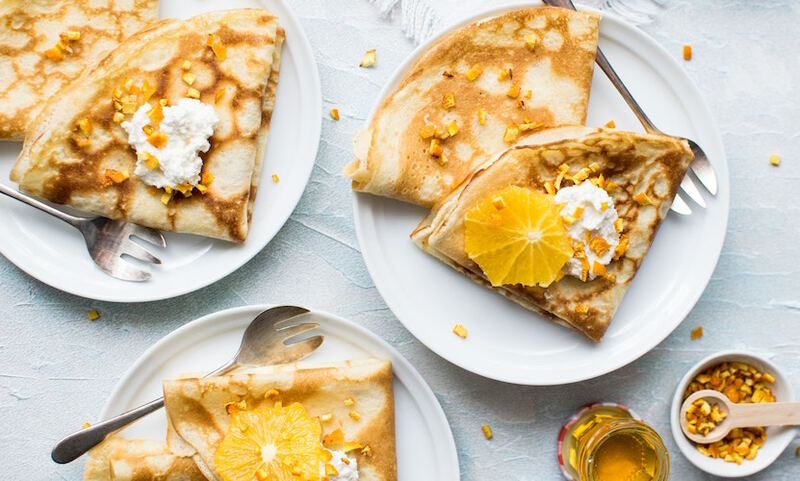 Put the crepe in a plate, spread some butter then the sugar and finally squeeze a lemon! And you are set! Enjoy! Well well well, I actually had this for dessert at lunch and… I have to say it made me quite HAPPY! Pour the mixture and let it cook until brown, flip it around and let it cook more. 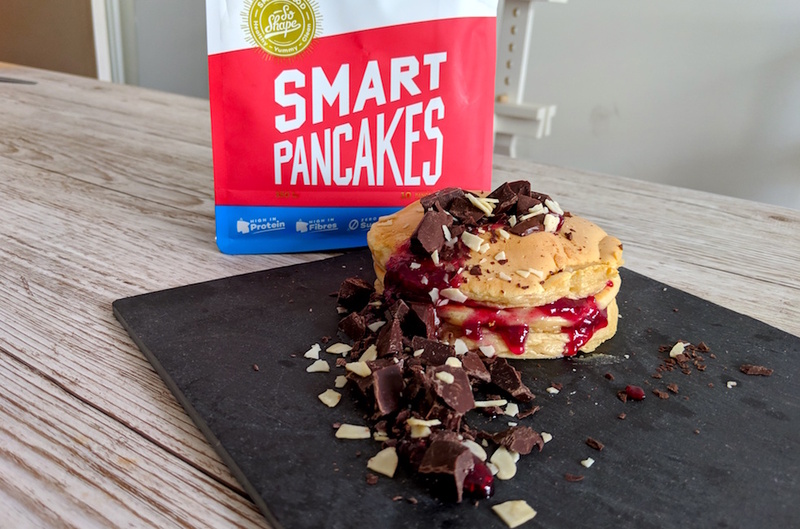 Stack your pancakes and add the Raspberries on top, jam, chocolate, almonds and shredded coconut. And if you are wondering if those two recipes fit in your macros…. STOP IT RIGHT NOW! Time to live a little!